If you are having issues logging in please click here and then try again. Note only works for customers, vendors please contact us. Not purchasing for a business? See our consumer site. 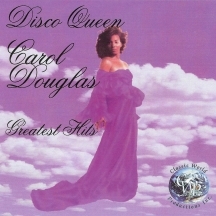 Classic collection from the Disco Queen Carol Douglas including "Doctor's Orders," "Midnight Love Affair," her disco version of the Doors' "Light My Fire" and much more. © 2018 MVD Entertainment Group. All Rights Reserved.